Are Dentures Right for My Needs? When you’ve lost one or more teeth, particularly if you’ve lost a substantial number of teeth, then getting affordable quality dentures might help restore your self-confidence and your beautiful smile. Your teeth are essential to your overall health, providing structural support to your face, facilitating speech, and aiding in the digestive process. Dentures that are properly cared for can last for decades, which makes them an excellent financial investment in your overall health. 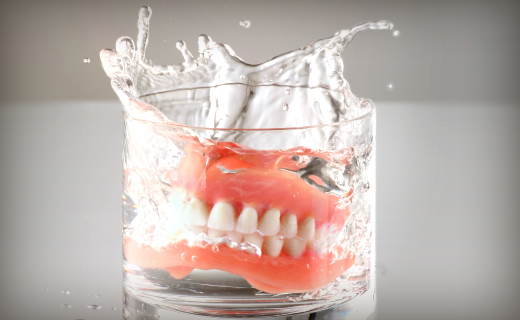 What Types of Dentures Are Available at Your Dental Office? Depending on your need, there’s a large assortment of dentures available. Your dentist will work with you to determine the type of denture that best fits your needs and your preferences. Should I Get a Full Denture? If you’re missing many or all of your teeth, then a full denture might work well for you. This type of denture replaces all of your natural teeth with a denture that should last for years if properly maintained. Some people opt for a full denture as a convenience. If this is your choice, your dentist will take measurements and make impressions of your teeth and gums so that your full denture is as close in appearance to your natural teeth as possible. Then your remaining teeth will be extracted, implants will be installed if you’ve chosen them, and you’ll be supplied with a temporary denture to use until your gums have completely healed. Then, your new dentures will be anchored and adjusted for maximum comfort and function. Your denture must be removed and cleaned each day. Should I Get a Partial? 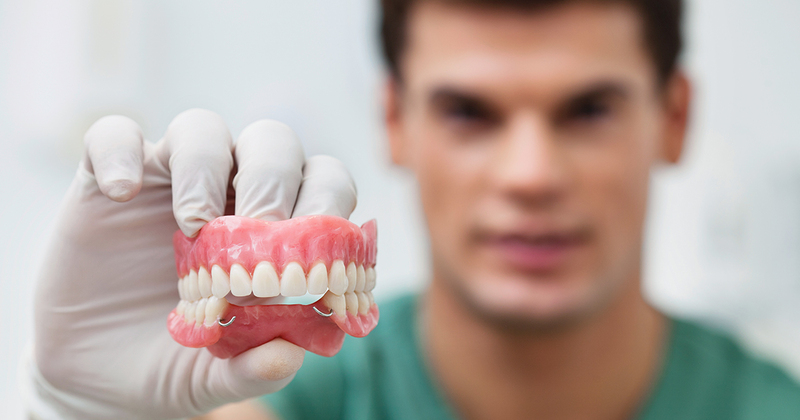 If you have most of your teeth, a partial denture might work well for you. A partial denture attaches to adjacent teeth with clasps and is similar to a bridge. The difference between a bridge and a partial is that a bridge is a permanent installation whereas a partial denture must be removed and cleaned each night. Is a Flexible Partial Better for Me? A flexible partial and its clasps are constructed of a soft, pliable material that moves when your mouth moves. Both are flesh colored so they blend in with your teeth and gums. Some wearers find this type of partial more comfortable than the rigid acrylic material used in a traditional partial. This type of denture is secured by dental implants, usually in the lower jaw only; a traditional denture sets atop the gums. Since it’s not permanently installed, it needs to be removed and cleaned each night. An All-on-Four denture is permanently installed in the lower jaw and affixed to four dental implants. It’s a very convenient type of fixed denture that provides more biting power than traditional dentures. How Do I Get New Dentures? If you’ve decided to get new dentures in Capitol Heights, let us help you. We can provide you with affordable quality dentures that will restore your smile to its former splendor. We’ll set up an appointment with one of our dentists who will work with you to get the best denture for your needs and lifestyle, he or she will take measurements and make impressions of your teeth and gums so that your new denture will achieve the best fit. Next, teeth will be extracted and implants installed as applicable. You’ll be given a temporary denture to wear until your gums have healed, then your new denture set will be secured. Your dentist will adjust your new teeth so that they fit and work their best. How Much Will Dentures Cost at Your Office? The cost of new dentures will vary according to the style selected, the materials needed for construction, and the amount of prep work your situation requires. Your dentist will work with you so that you get quality affordable dentures. What Problem Does a Soft Denture Reline Correct? A soft reline uses a soft, pliable material to reline dentures; it lasts about two years. Traditional dentures are made from a hard acrylic material and some wearers find this uncomfortable. A soft reline can alleviate painful sore spots that sometimes occur from denture use. If you’ve decided to get new dentures in Capitol Heights, give us a call. We’ll work with you to ensure you have a great dental experience and to restore your beautiful smile. Call us today if you have more questions about obtaining dentures or need to schedule an appointment.